Last week I attended the most amazing food and wine pairing at La Petite Maison. La Petite Maison is a proud new addition to the Melville food scene. 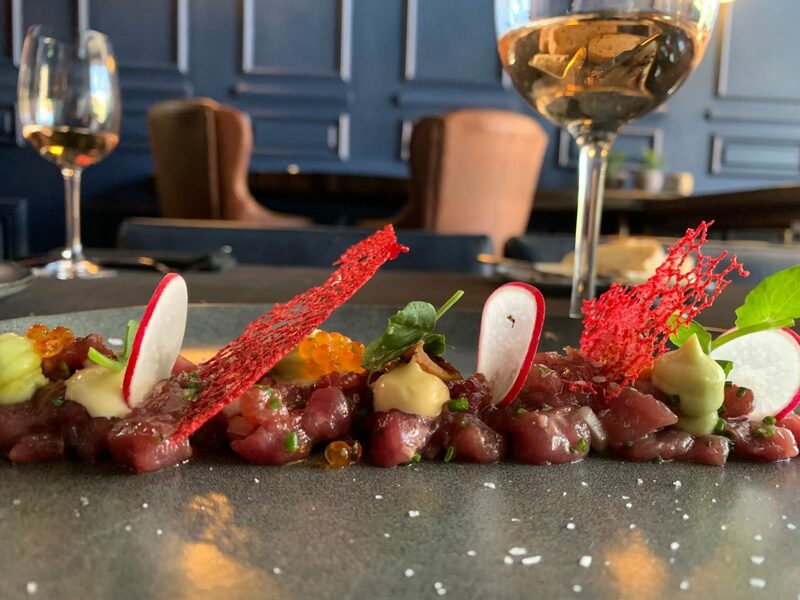 The restaurant is owned and headed up by Michelin star restaurant trained South African duo, Chefs Tyeya Ngxola and Tim Stewart, who met while enrolled at a cuisine school in Italy. I joined fellow foodies at La Petite Maison for the launch of this new Melville gem. We were treated to a five course meal that took us on a culinary journey throughout South Africa. 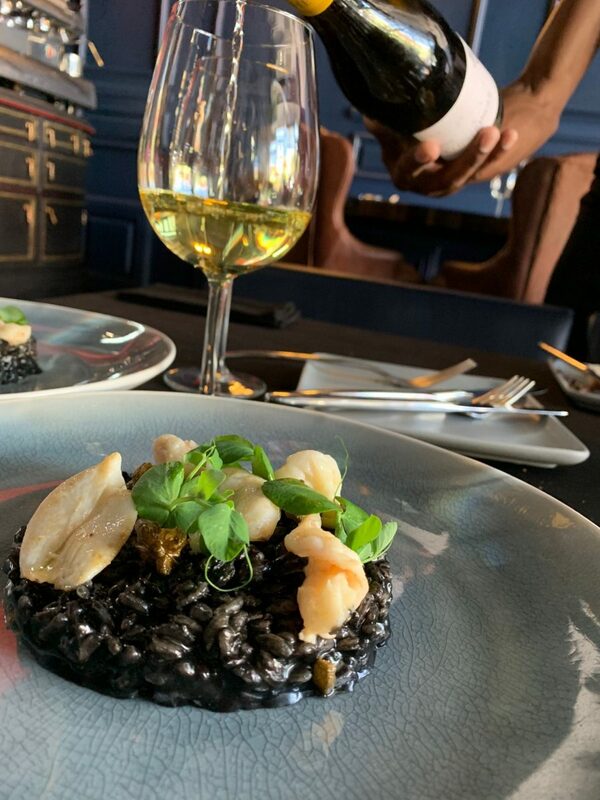 We started with the Atlantic squid and squid ink risotto served with Cape Malay spiced prawns. What an impressive Italian dish with a clever well executed South African flare. We were then taken to the Kalahari and served ostrich tartare with crushed coriander, deep fried mushroom, ponzu and avocado. While this wasn’t my favourite dish – I’m not the biggest tartare fan – the flavour profile was really great. Next up was the Magaliesberg pork belly. Wow, wow, wow! 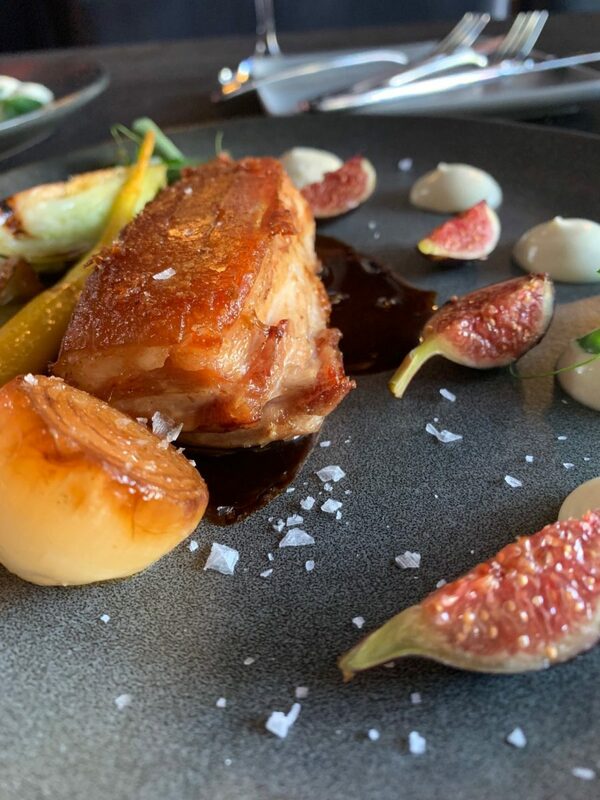 The pork belly was perfectly cooked boasting divinely crunchy crackling and a juicy succulent interior. It was served with caramelised onions, fermented and charred wombok cabbage and cauliflower. I absolutely loved this dish. The pork belly from La Petite Maison is certainly something quite extraordinary. The next dish served was the duck from Hogsback. The duck was beautifully prepared and presented, served with spiced plums, shimeji, shiitake and a duck sauce. This was yet again another amazing dish by Chef Tyeya and Chef Tim. 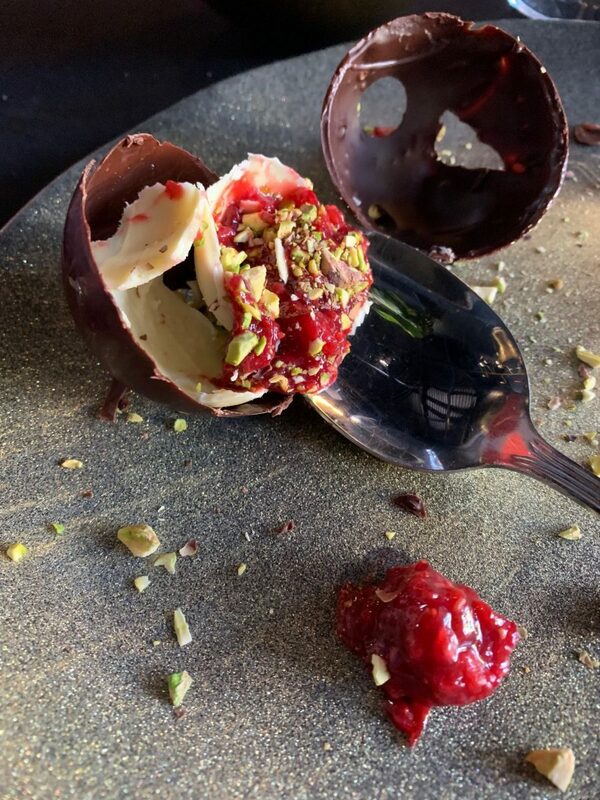 Lastly for dessert, were taken on a culinary adventure to Ficksberg, and served a cherry and raspberry filled chocolate sphere. This dessert was delicious; the richness of the decandent chocolate was perfectly balanced by the fresh tart cherries and raspberries. 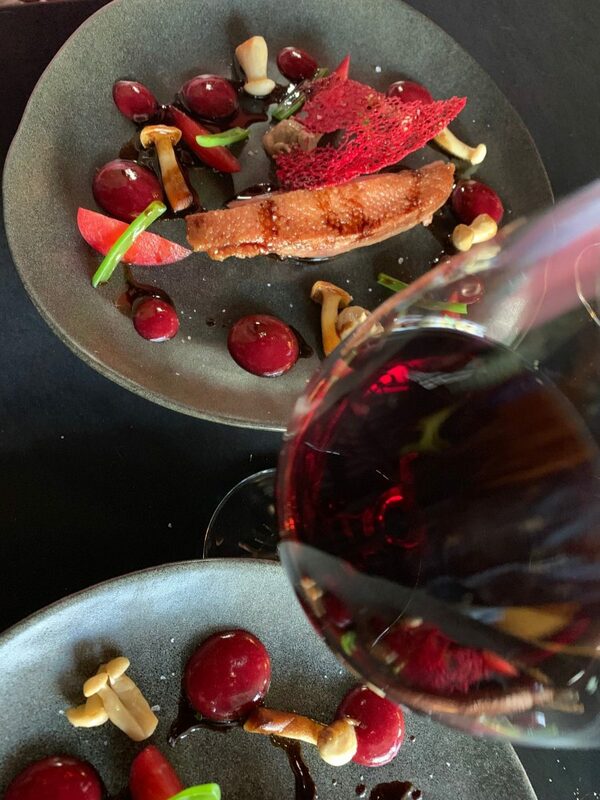 Each of the courses were paired with local – and relatively unheard of and unusual – wine from all over South Africa (yes, not just the Cape region). This was a real treat. La Petite Maison seats a maximum of 27 guests – true to authentic fine dining style – enabling incredible and attentive service. The restaurant is quaint and really beautiful boasting a romantic French style feel. The food and wine pairing was impeccable and certainly fit for a very special occasion or celebration. I will definitely be visiting La Petite Maison again soon. All photographs are thanks to La Petite Maison.